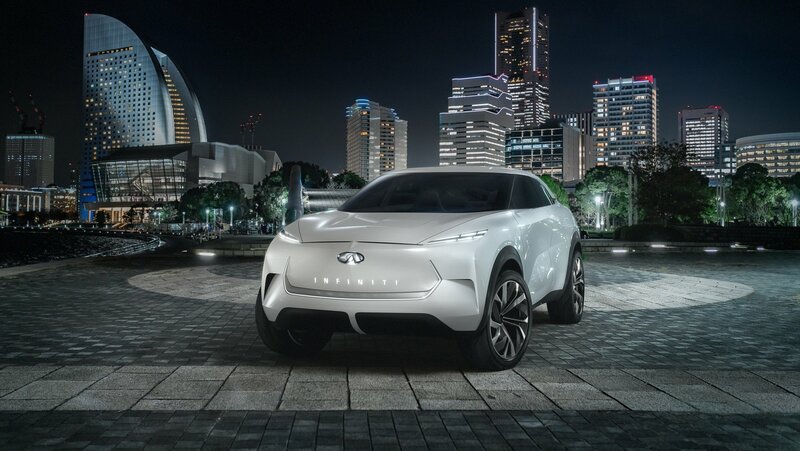 2019 Infiniti QX Inspiration Concept – Car from the future or a far-fetched thought? With the QX Inspiration, Infiniti becomes the latest company to enter the EV fray. The automaker unveiled the QX Inspiration Concept at the Detroit Auto Show which gives a peak into the brand’s new design language for EVs. Although Infiniti has not revealed any specs yet, it says the QX Inspiration, when launched, will be a high performance production SUV. 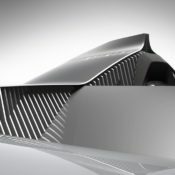 Infiniti is preparing a new concept car for the first auto show of the year in Detroit. And as you might have already guessed, it comes with an “Inspiration” badge. This time around though, it’s of the QX variety, which means it’s an SUV. 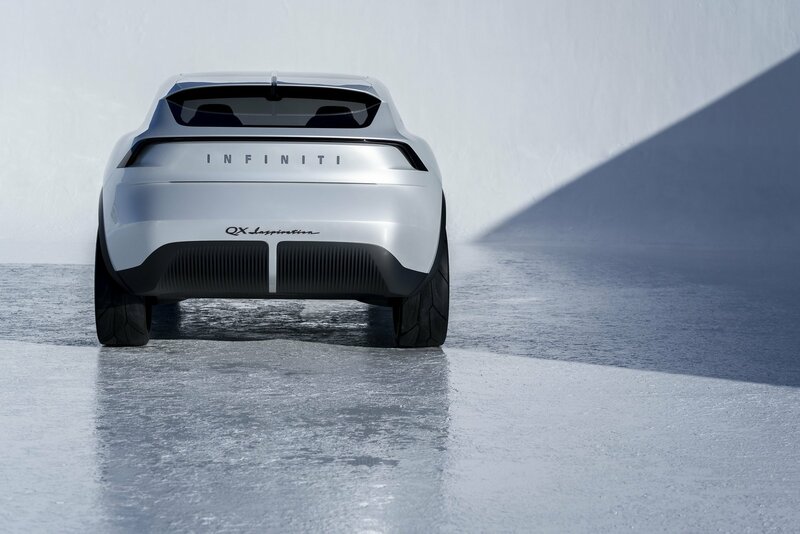 Infiniti says the QX Inspiration previews the brand’s electrified, high-performance future. 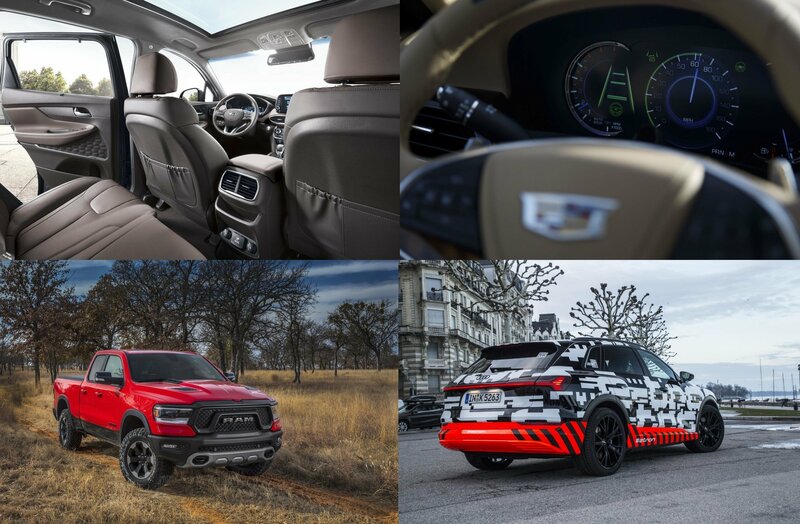 When it comes to “love it or hate it” designs, coupe-style crossovers are the first that spring into mind. While some hate them entirely, others would buy one in a heartbeat. Whether you like coupe crossovers or not, a new model is about to come under the spotlight. It’s made by Infiniti and will make its global debut at the 2019 Detroit Auto Show in January. Like pretty much every other major automaker out there, Infiniti is signaling a strong move towards electrification in the very near future, with a particularly heavy emphasis on the tech slated for 2021 and onward. While some enthusiasts will undoubtedly cringe at the thought of yet more battery-powered vehicles plying the roads, Infiniti is proving that such a fate is anything but boring, especially when it comes infused with technology plucked from the high-speed world of Formula 1 racing. 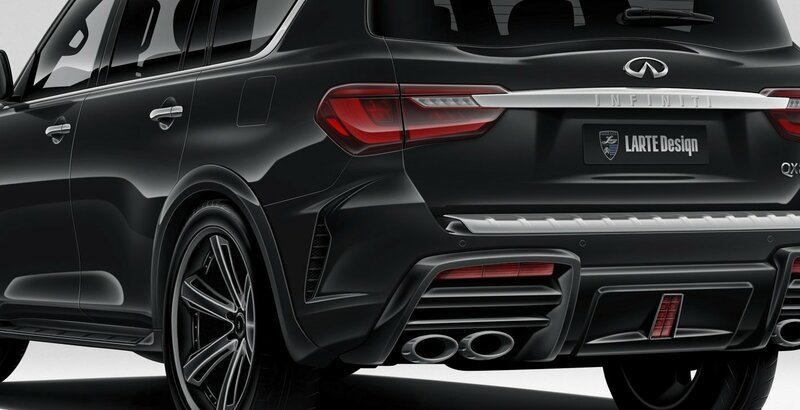 Which brings us to the latest Project Black S concept, which recently made its big debut at the 2018 Paris Motor Show. 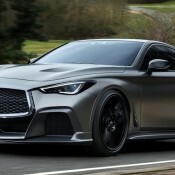 Offered as an evolution of the previous Infiniti Project Black S that dropped at the Geneva Auto Show a few years back, this latest creation is based on the utterly fantastic Q60 Red Sport 400 sports coupe, and provides both aesthetic and technical details on how Infiniti plans to implement hybrid technology to spark the interest of speed lovers everywhere. Continue reading to lean more about the 2018 Infiniti Project Black S Concept. 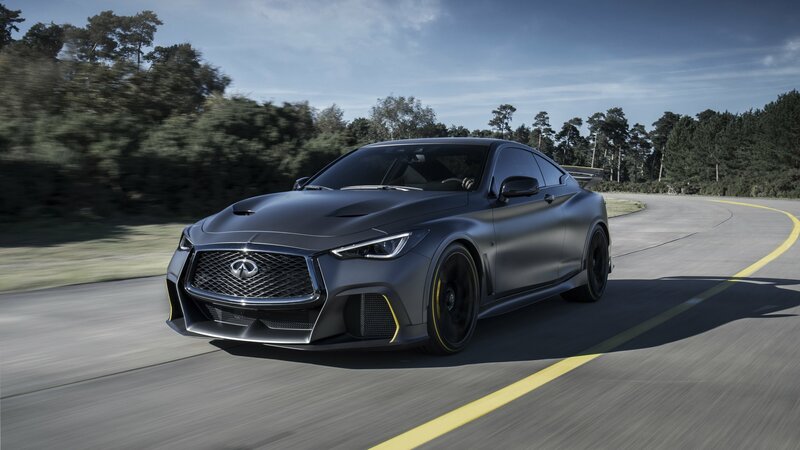 The Infiniti Black S Prototype is proof that the technological divide between production vehicles and Formula One race cars is shrinking. 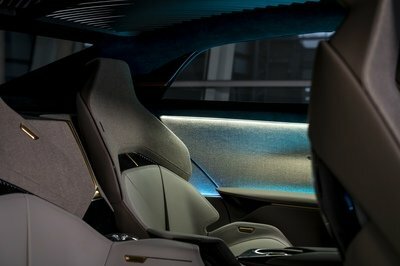 The Hong Kong-based luxury brand of Nissan unveiled a modified version of the coupe at a private party in Paris, showcasing a hybrid electric powertrain developed by the Renault Sport Formula One team. The concept isn’t earmarked for production — not yet, at least — but it does offer a glimpse of Infiniti’s goal to use hybrid and electric powertrains on all of its models by 2021. 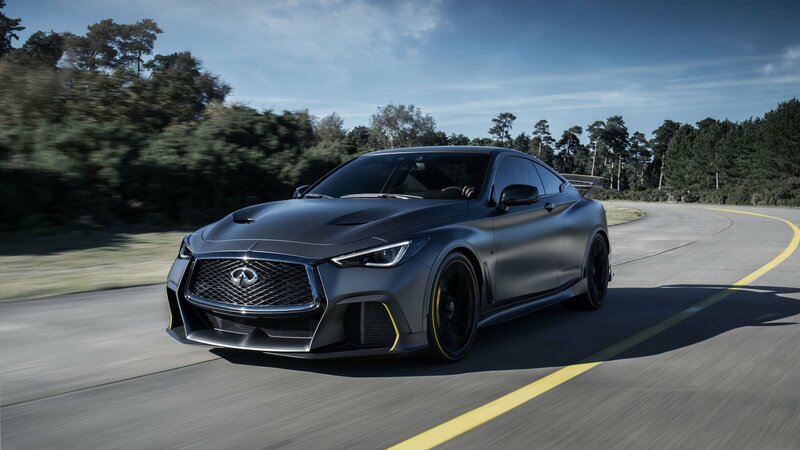 Actin in accord with their promise to electrify their range from 2021, Infiniti decided to start the push with their highfalutin concept, the Project Black. SO they tweaked it and turned it into the Infiniti Project Black S Prototype, which is a hybrid. If this is what the electrified Infinitis of the future are going to be like, sign us up. We are, of course, familiar with the looks of the Infiniti Project Black S. Save some heavily accentuated panels, it’s the same as before. What’s new about this thing is the powertrain. The new S model features a dual-hybrid system that generates 570 PS combined. It consists of a 3.0 liter V6 twin-turbo with energy recovery system (ERS), and it enables a 0-100 km/h time of under four seconds. The system can also harvest heat energy from exhaust gases. This enables the powertrain to generate electrical power under both braking and acceleration. 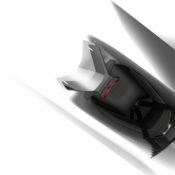 The prototype has been developed jointly with Renault Sport Formula One Team. It kind of celebrates the Renault-Nissan-Mitsubishi alliance as well. 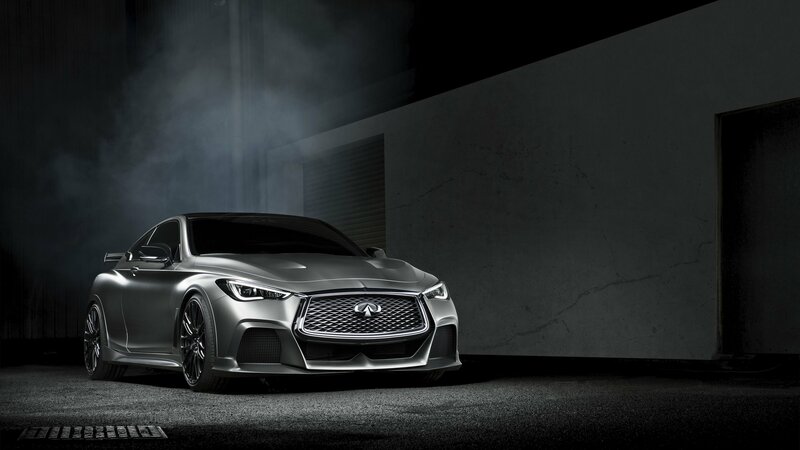 Infiniti Project Black S is based on the road-going Q60 RED SPORT 400 sports coupe. The F1 know-how has been used in the performance department a well as aerodynamics, as evidenced by the carbon fiber rear wing. 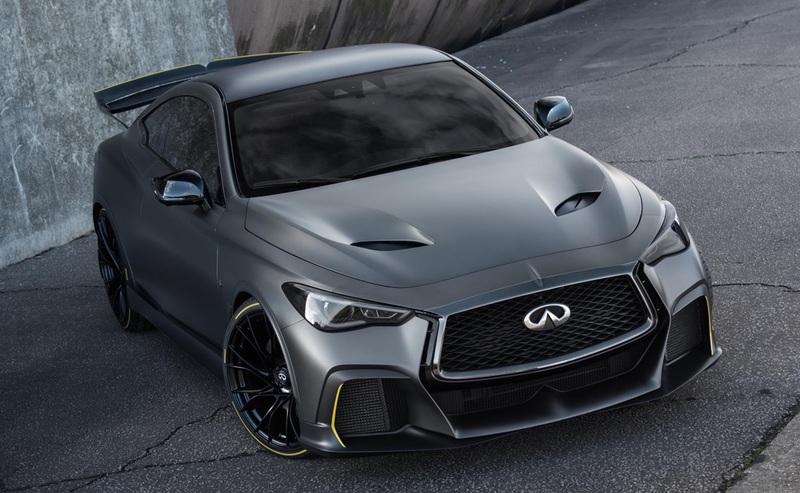 The post Infiniti Project Black S Prototype Goes Hybrid appeared first on Motorward. This year’s Pebble Beach Concourse d’Elagance sees the debut of a new Infiniti concept, as it does pretty much every year. It is called the Infiniti Prototype 10, and it follows last year’s Prototype 9 with a sleek and modern speedster design that is too cool and sweet for the real world. Yep, again, this is not something they can or want to put into production. This is just Infiniti showing off what they could be making in a perfect world instead of excellent but boring family cars they make now. 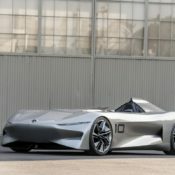 Infiniti Prototype 10 evokes “spirit of early Californian speedsters” and it does it well, except for the electric drivetrain part. This concept is also the car maker’s way of reaffirming their commitment that from 2021 all their production models will be electrified. 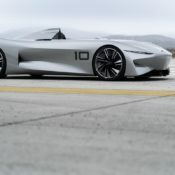 The 10 is the result of collaboration between Infiniti design studios in Japan, UK, and San Diego, California, and it’s the first project overseen by Karim Habib, the former golden boy of BMW and current Infiniti Executive Design Director. 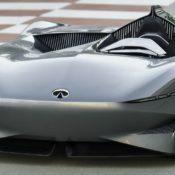 The post Infiniti Prototype 10 Revealed in Full, Looks Good appeared first on Motorward. It’s been just 12 months since the Pebble Beach Concours D’Elegance was rocked by Infiniti’s unveiling of a Pre-War inspired concept named the Prototype 9. It was one of the best looking concept cars of 2017, and it was electric, which is what everyone is asking for nowadays. All this means that Karim Habib’s first job as chief designer at Infiniti must be a stunner, and the first glimpse we’ve got suggests just that. 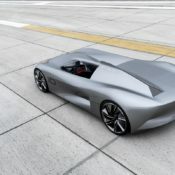 Infiniti’s teasing game of its Pebble Beach-bound concept continues, and the latest tease finally gives us a good look at the car in all its entirety. 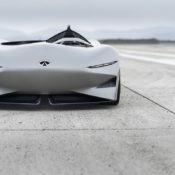 Not surprisingly, the new concept, called the Prototype 10, looks nothing like the Prototype 9, the retro stylized concept vehicle Infiniti unveiled at last year’s Pebble Beach Concours d’Elegance. 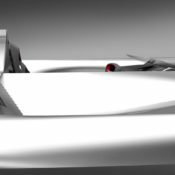 The Prototype 10 is a modern, maybe even futuristic, interpretation of an electric, track-spec speedster that may or may not end up in production. 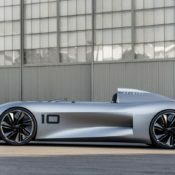 So last year at the Pebble Beach Concours d’Elegance they unveiled the Prototype 9, and this year, naturally, comes the Infiniti Prototype 10. The new concept for the 2018 event is not so much an evolution of the 9 than a re-interpretation, giving the retro speedster look of that car a modern twist. In fact the inspiration behind the design of the Infiniti Prototype 10, which is also an electrified speedster, has been the Q Inspiration. That is why it look more similar to the company’s current range of production cars, especially around the front. They say the 10 also previews design cues to be featured on future Infiniti models, which is a cool thing because it appears they are finally done with all those melty lines and are adapting a more muscular look with straight, clear-cut lines. This is going to be the look, sort of, of electrified Infinitis from 2021. 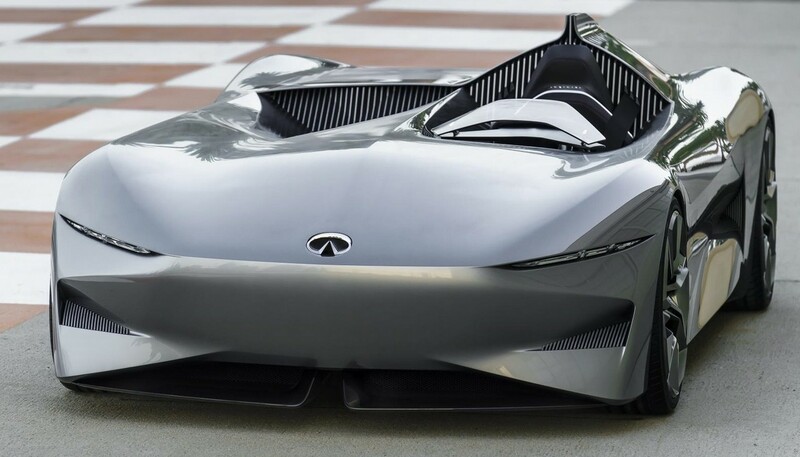 Infiniti Prototype 10 will celebrates its world premiere at the Pebble Beach concourse on August 23. 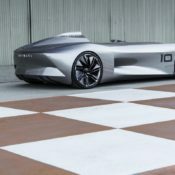 The post Infiniti Prototype 10 Announced for Pebble Beach Debut appeared first on Motorward. 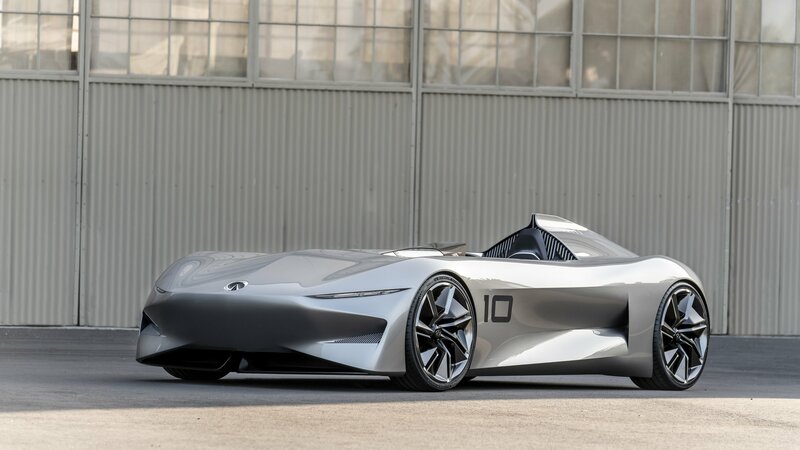 The 2018 Pebble Concours d’Elegance is playing host to a number of extraordinary concepts, including one from Infiniti that’s being billed as an electric vehicle concept. The description doesn’t do justice to the accompanying teaser image, which shows the concept’s cabin taken from a birds-eye-view perspective. 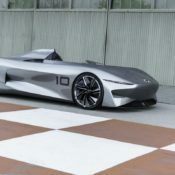 The teaser doesn’t reveal too much, but it does show enough for us to assume that the concept could have some loose connection to the Prototype 9 Concept that Infiniti showcased last year at Pebble Beach. 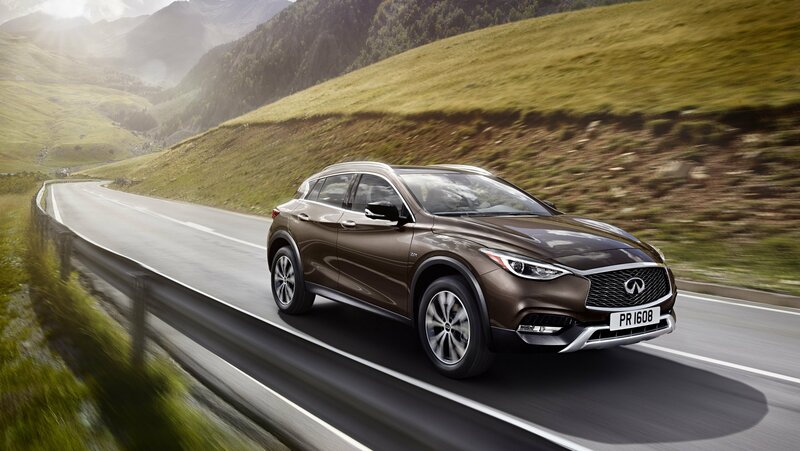 When Infiniti decided to enter the compact crossover segment, we were a little worried, but then we found out that the QX30 was going to have just the slightest bit of Mercedes DNA. We started to get excited. Come 2016, and we finally got to lay eyes on the 2017 QX30, and we were amazed. It’s currently giving the competition a serious run for their money and damn does it look good. Now that some time has passed since it made its debut, we’ve decided it’s about time for the QX30 to spend a little bit of time as TopSpeed’s official wallpaper. We’ve added it to every screen in the building, and we want to share our hand-picked favorite with you. Go ahead and spruce up your desktop with our favorite or one from our extended gallery. For the longest time, the Infiniti QX80 suffered from a design that made it look like it preferred to be sleeping in a hammock than being out and about in the road. The refreshed 2018 model fixed some of those issues with new headlamps and a more upright profile, but there’s still something about the full-sized SUV’s design that lacks the personality that’s evident in the QX60 and QX70. Well, in times like this, the solution may not be found with the automaker itself, but rather, in the aftermarket tuning world. In this case, German tuner Larte Design is on the scene with a super aggressive body kit that not breathes much-needed life into Infiniti’s resident flagship SUV.